"Property management" is an effective way that professional companies operate and manage properties. This has already become a common concept in the United States and Europe, and in recent years, the concept has started to take root in Japan as well, where the securitization of real-estate is advancing. The key here is to carefully access professional companies: we offer the know-how of property operation and management that we have acquired through the top-level performance in Kansai area, with more than 5,000 dwelling units in the apartment/condominium management. Compared to the"commercial uses" for which long-term lease can be anticipated for its tenants' needs for business, the properties for "residences" with shorter lease period tend to have more issues. Moreover, since tenants actually live there, coming and going of tenants are irregular and frequent, and the restoration work on vacating the property can be more complicated. Ability to cope with various complaints is also required. Please rest assured and count on our actual performance and rich experiences of apartments/condominiums for"residences." 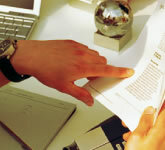 The property management has a wide range of business. It is crucial to confirm what is included in the service when you use a turnkey contractor.  Preparation and submission of monthly report. Status reports including contract, operation, maintenance management, repair works and uncollected rent, account activity statements, issue lists and income statement.  Preparation of the database for each project. Status of contract, operation, maintenance management, repair works and so on, income and expenditure report and P/L.  Preparation and submission of Annual Planning report. Proposal on post-lease plan, maintenance management status record, renovation anticipating proposal needs for income and expenditure budget, and improvement of security and barrier-free functions. Leasing by our own network, staff, businesses and the Internet. Preparation of lease, contract negotiation and conclusion on behalf of the clients, and preparation of lease report. Rent payment status management, handling of complaints from tenants, dunning for uncollected rent, and lease renewal. 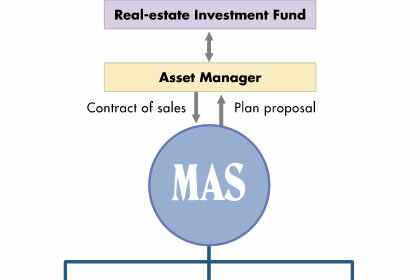 Rent(paid/received) management, preparation of funding request, and payment to vendors on behalf of clients. Confirmation of termination notice, attending the client on site, adjustment of security deposit, restoration work to the original state, preparation of termination report, and negotiation with tenants on restoration work.  Preparation of quotation of restoration work to the original state. Preparation of the quotation, execution of the restoration work, selection of contractor, supervision of construction work, and check and report after the completion of work.  Training and dispatch of superintendent. R&D and training of apartments/condominiums management techniques, training on equipment operation, and training on emergency response. Implementation of security system, emergency response 24 hours a day, every day. Execution of legal inspection and preparation of report. Cleaning, daily building monitoring by routine visits, and arrangement, supervision and reporting of repair work of damages. Equipment check by daily routine visits, arrangement of repair vendor for damages and reporting. Regular inspection of water tank and water quality, and regular inspection of equipment in common area and external gutters. Preparation of fire defense plan.